In an interview to a news channel, Prime Minister Narendra Modi spoke on various issues and batted criticism coming his way over his response to the Pulwama terror attack. New Delhi: Putting all speculations pertaining to his delayed acknowledgement of the Pulwama attack to rest, Prime Minister Narendra Modi explained how he exercised restraint while addressing the Uttarakhand rally on February 14. Speaking on issues ranging on his response to the Pulwama attack perpetrators, the return of Indian Air Force pilot Abhinandan to the recent A-SAT launch, the Prime Minister addressed all questions. 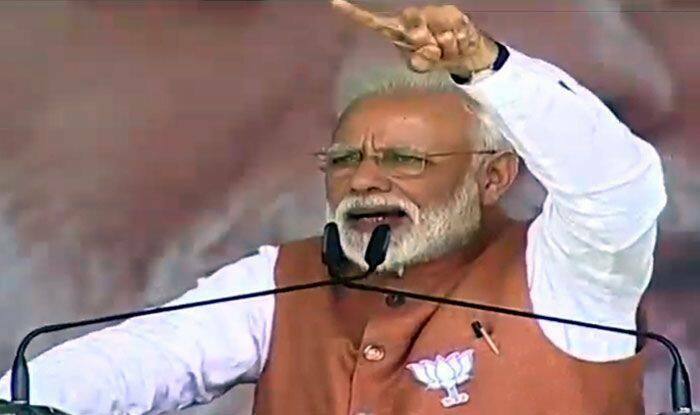 Explaining the reason behind his silence over the Pulwama terror attack while addressing a rally in Uttarakhand over the phone, Prime Minister Narendra Modi said, “I was in Uttarakhand on a pre-scheduled visit on the day Pulwama attack happened. I got the information about the attack and decided to address the rally over the phone but restrained myself from immediately mentioning the incident of such magnitude.” The Prime Minister explained that such news is not broken in rallies and specially not in such big gatherings. “We do hold any grudges against the people of Pakistan, our war is against terrorism,” Prime Minister Narendra Modi said. Explaining his stance, the Prime Minister said that Pakistan is a free country and is at liberty to do anything, but all we are asking is for them to not harbour terrorists. The Pakistan-based terror organisation Jaish-e-Mohammed (JeM) engineered attack in south Kashmir’s Pulwama that killed 40 CRPF personnel and injured five others on February 14. Lashing out against the Opposition for posturing on wrong issues, Prime Minister Narendra Modi said that instead of hailing the Air Force and its capable pilots for downing Pakistan’s mighty F-16 jet, leaders started to questions when will Wing Commander Abhinandan return.